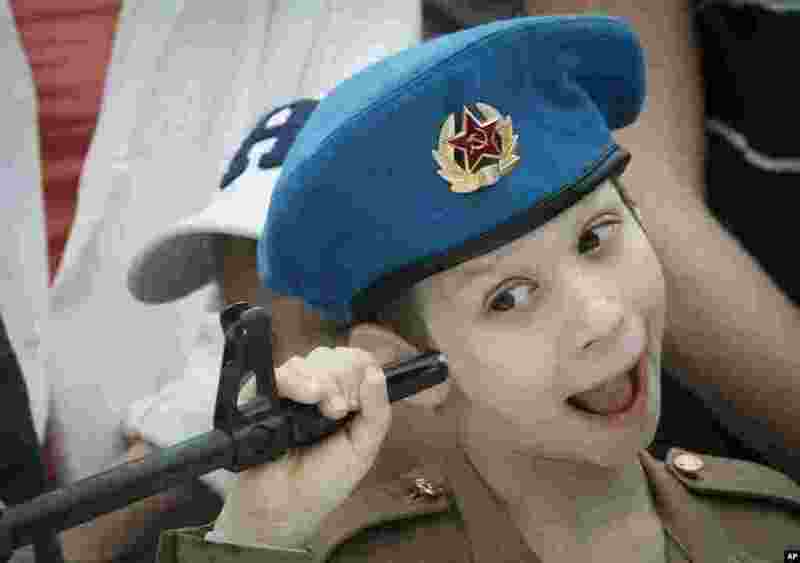 1 A boy plays with a machine gun at a weapon exhibition, during celebrations for Navy Day in St.Petersburg, Russia. 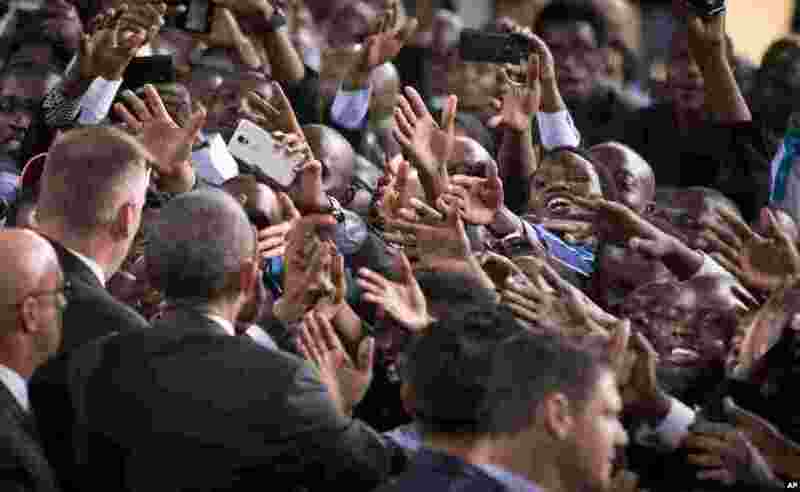 2 A Kenyan woman reaches out across a sea of hands as she tries to shake the hand of President Barack Obama, as he walks past the crowd after delivering a speech at the Safaricom Indoor Arena in the Kasarani area of Nairobi, Kenya. 3 Left-wing militants protect themselves as Turkish anti-riot police fires water cannon to disperse a demonstration in Istanbul's Gazi district. 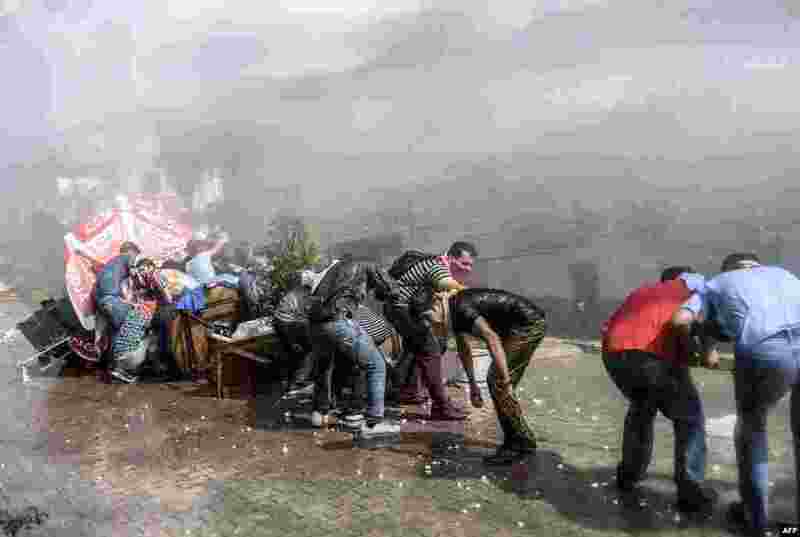 Tensions across the country are high, with police routinely using water cannon to disperse nightly protests in Istanbul and other cities denouncing IS and the government's policies on Syria. 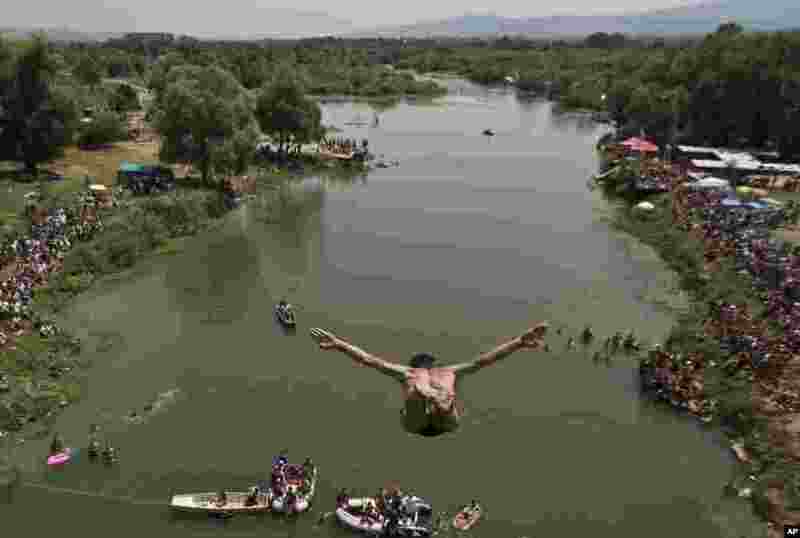 4 Spectators watch as a diver jumps from the Ura e Shenjte bridge during the traditional annual high diving competition, near the town of Gjakova, 100 kms south of Kosovo capital Pristina.